Rangers midfielder Ryan Kent has missed the trip to Moscow because of a hamstring injury. The on-loan Liverpool player will miss the Europa League game against Spartak Moscow on Thursday after joining Kyle Lafferty in the treatment room. Manager Steven Gerrard said: "Against St Mirren, Ryan Kent has come off with a hamstring issue which we are looking into at the moment. Ryan won't be available for us over here in Moscow and at Motherwell either. "Obviously it's an opportunity for someone else, certainly over the next couple of games, to come in and express themselves. "But there's no getting away from it that it's a big disappointment for myself and the team because Ryan has been in fantastic form and is a real threat for us. But I'm sure other people are chomping at the bit for an opportunity. "Kyle has still got an issue in his quad muscle, so unfortunately he hasn't made it here." 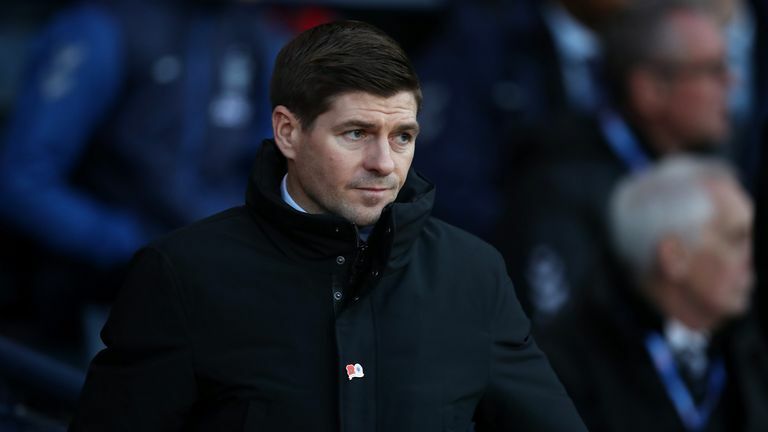 Gerrard is also hoping from a strong start from his side against Spartak Moscow on Thursday evening as they remain unbeaten in 11 European matches under the former Liverpool captain. He said: "We can only hope the atmosphere is the same in the stadium as that will mean we are playing well and doing our job. "In all honesty, the most important thing is what we do, what my players do and that we carry out the gameplan that is given to the players, and we come here and really embrace and express ourselves. "We don't want to play in a shell like we did in the first 45 minutes in Villarreal - we want to really start strong and show Spartak and all their supporters our intent on the night, and that is to come here and do everything to get a good result."